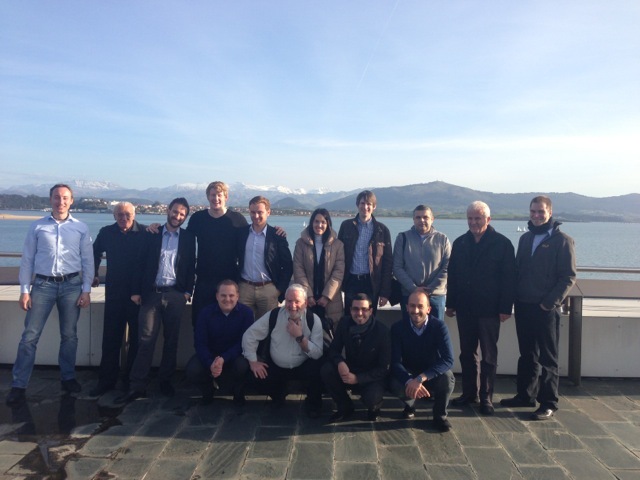 From 19th March till 21st March 2013 TTI invited the Amisa consortium to Santander for the Technical-IX Meeting. An important part of the meeting was the presentations on the current state of the six industry projects. This included the business case clarification and the forecast of possible changes of product and system requirements as well as the development of new adaptable designs and the economic estimation of these designs. Due to the needs of industry partners the Amisa Design-for-Adaptability methodology and the DfA-tool were enhanced by a variant-handling functionality. Now it is possible to consider multiple variants while developing a more adaptable system. Besides that, the Amisa methodology was also enhanced by a so called ‘modul-driver’ approach. This approach helps to identify other factors – beside DfA – which might have an influence on the moduls of a product or system: e.g. buying parts might better left in their current state in order to prevent additional costs. 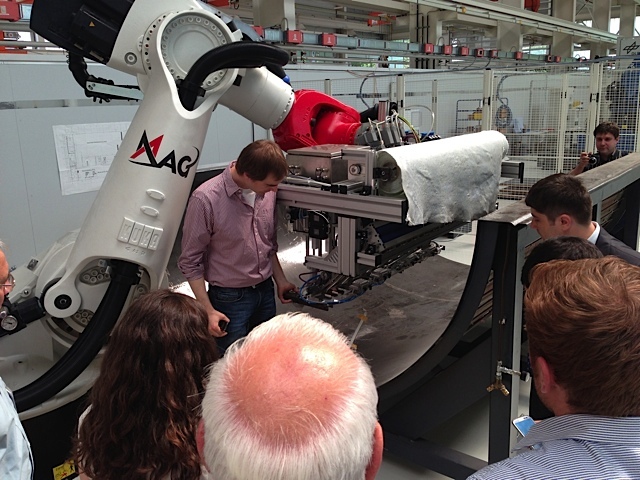 The 10th Technical Meeting took place in Göppingen, Germany from 18th – 20th June 2013. It was hosted by MAG IAS. This gave the opportunity to visit the MAG production site including tape layer machines for aerospace components. In the context of the project Amisa the focus is on the increased adaptability of a fully automated Fiber-Placement-Head. During the meeting the concept of the “Amisa objectives validation” was presented. It is based on an online questionnaire for the Amisa project partners as well as companies interested in Design for Adaptability. The meeting also included the demonstration of the latest version of the DfA-tool RLS05. Besides continuous improvements the new release contains functionalities and metrics for managing variants in the context of Design for Adaptability. 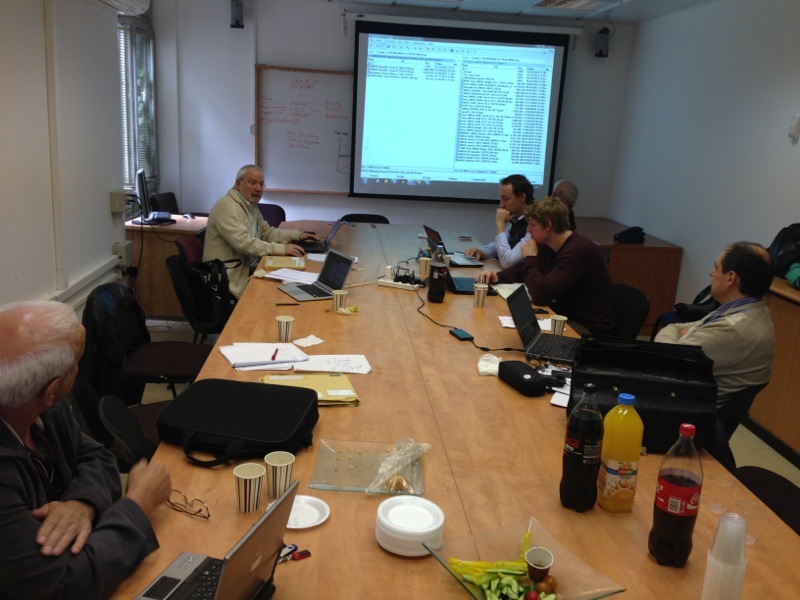 From 27th till 29th January 2013 the University of Tel Aviv (TAU) hosted the Academic Forum II. Besides the academic partners also TPPS and IAI participated in the meeting. Topics discussed were the Option Valuation by using the Monte Carlo approach first presented during the September meeting in Munich, TRIZ technology forecasting on the functions and components level and the concept of dealing with variants and other drivers for modularization beside DfA. The stakeholder integration approach was also further elaborated and discussed. Besides the current state of the methodology guideline was presented and the further development of the DfA-tool discussed. TPPS invited the AMISA consortium to Modena for the Technical-VIII meeting from 11th till 13th December 2012. One key element of the meeting was the discussion of the current state of the industry cases, including highlights and special issues. This also served as an evaluation of the AMISA methodology revealing positive aspects and potential aspects for further improvement of the methodology and the DfA-tool. In order to validate the assumptions being made while conducting the methodology (e.g. technology forecasting, business case) a first approach for a stakeholder integration was presented and judged favorably by the AMISA partners. We were also happy to welcome Prof. Tyson Browning, one of our research partners from the United States. He contributed an approach how to manage complexity with DSM models.